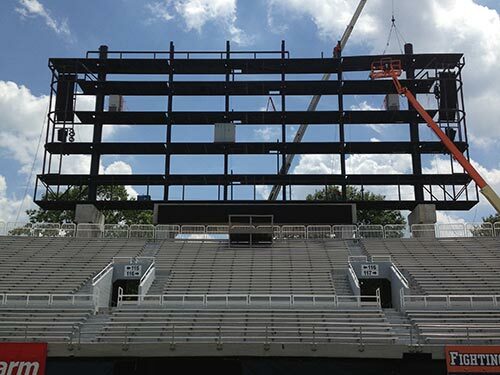 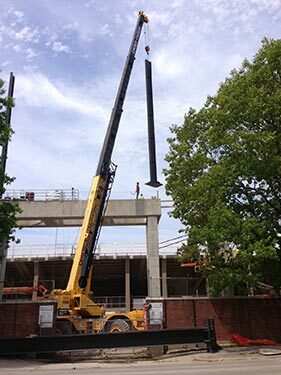 Piros Signs installs NEW Scoreboard for University of Illinois at Memorial Stadium in Champaign, Ill. 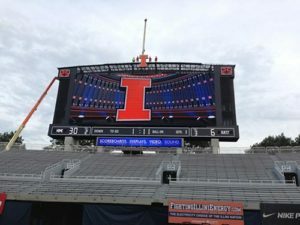 The fighting Illini fans have something more to cheer about! 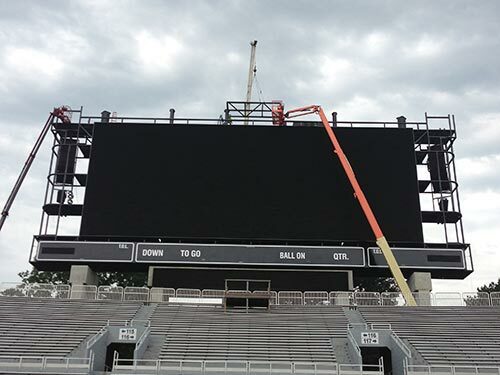 The end zone has received a new HD video display measuring 36 feet tall by 96 feet wide. 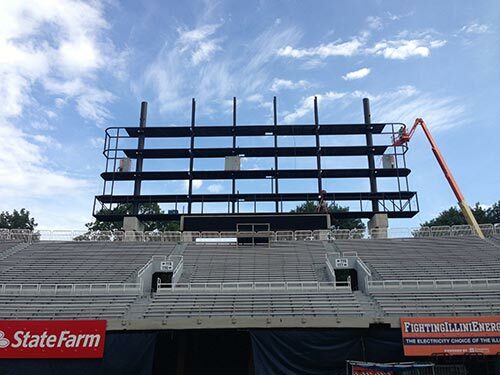 It is capable of showing one large image to highlight live video and instant replays. 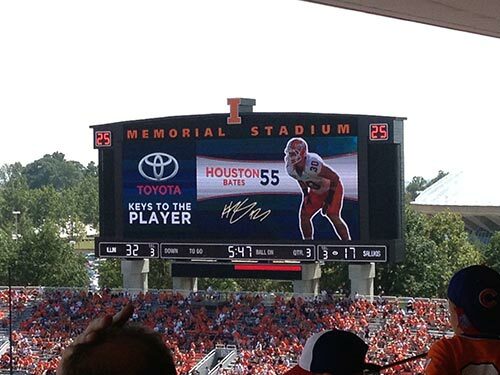 It can also be divided into separate windows to show a variety of vivid graphics, colorful animations, up-to-the-minute statistics, scoring information and sponsor advertisements with outstanding brightness and wide-angle visibility.